Birthright citizenship strengthens America. Just look at my family and friends. President Donald Trump speaks to reporters about a shooting at a Pittsburgh synagogue at Andrews Air Force Base, Maryland, Oct. 27, 2018. 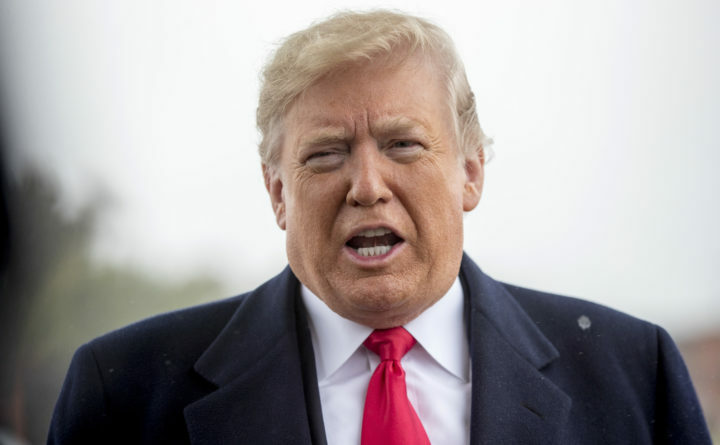 Trump has astonished legal scholars with his claim that he can end birthright citizenship with a swipe of his pen. Sadly, at a time when our country is mourning the loss of 11 hate crime victims, President Donald Trump again missed an opportunity to bring us together as a country. Instead, he chose to create even more division by dehumanizing the children of immigrants, attacking the Constitution and ignoring the Bill of Rights in the process. Birthright citizenship is well established by the courts, Congress and the Constitution. By vowing to end that right by an executive order, the president is clearly continuing to use children as political pawns to create a distraction from current events and his support of nationalism. Trump argues that immigrants come to America to take rather than give, which I personally know is completely false. As a naturalized citizen born in Mexico, it gives me great pride to have witnessed many of my friends and my younger family members — whose parents were undocumented farm workers and who became citizens when they were born here — get an education, become successful and contribute to our country. But let’s set aside the endless lists of accomplishments by Americans born to immigrants — those who have helped build this country, feed its citizens and defend it in wars. This is about more than Trump targeting a population who cannot speak for themselves. This is another divisive move toward xenophobia and hate. I remember the vilification of immigrants in the 1980s and 1990s, when campaign ads filled TV screens with images of “illegals” crossing the border. I would hear my classmates talk about immigrants as if they were objects, not fellow students sitting next to them in class. All this hate and animosity, and yet the immigrants I knew were the ones who worked beside me in the fields, toiling through back-breaking work for long hours to help feed those who held them in so much hate. The president should at least pay attention to the first sentence of the 14th Amendment, which clearly recognizes that any person born on U.S. soil is a citizen. What our country needs is leadership focused on unity, not an attempt to rewrite the Constitution. We must remember America’s founding motto — “E Pluribus Unum,” out of many, one. Eric Guerra represents District 6 on the Sacramento City Council. He wrote this for the Sacramento Bee.